Here we are at All-Star season already. Leagues stop the season prematurely in order to get the summer play-offs under way. I watched some local youth baseball leagues spend several nights evaluating players as young as 8 and 9 years old. It was tryout mode all over again. One player batting and 30 players shagging. Baseball Parents watching nervously on the side lines wondering if they were going to be a part of the parade to Williamsport of wherever the national play-offs take them. Or if they were going to get the news that their little players was not good enough to get picked for the team. All Stars season is a really ugly part of the youth baseball world. Not too much good comes from it. And nobody has the nerve to stop it and try something better. I have my own ideas how to make it better and it is player development minded of course. Summer Baseball Camp Time: Should We Go or Not? You might be going over your player's options and choices for summer baseball camp. Should we sign up or not. Is it worth the money or not? Will my kids get any better? Check out my article on deciding on signing up for camp. 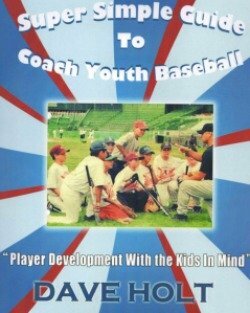 What is the Ideal Youth Baseball Concept? What Happened to Sandlot Ball? One project I am working on this summer is virtual baseball coaching clinics. 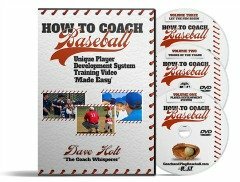 I am putting lessons together and will offer to baseball coaches across the country. Coaches and parents will be able join me online and participate in group sessions. Topics will be on various aspects of coaching and playing baseball and my player development system. Private baseball lessons will be available soon too using Face Time. We can schedule a time to meet and conduct hitting, pitching, fielding and throwing lessons anywhere in the world.